Welcome to the WWE results and highlights of SmackDown Live held on 9th October Tuesday at INDIANAPOLIS. We haven’t covered any highlights/results/updates of SmackDown Live in the past. We always preferred to cover Monday Night RAW Highlights & Results. But it looks like SmackDown Live is making tremendous progress now. They are consistently improving the show by inviting lots of amazing superstars and making it a competitive one as compared to WWE Monday Night RAW. 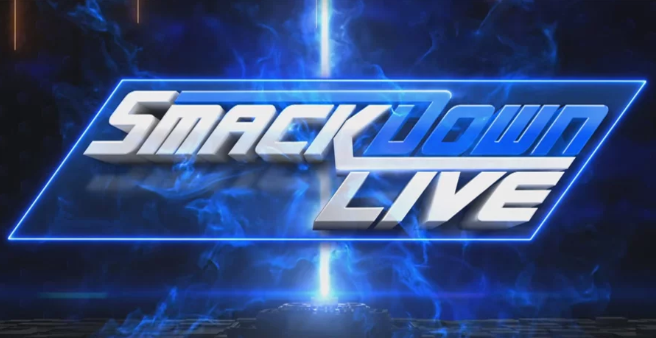 Let’s see what happened at this week’s SmackDown Live show results and updates. The show on Tuesday began with the announcement of the match between Randy Orton Vs. Big Show for World Cup Tournament Qualifying match. Yes, the same tournament that’s going to held in Saudi Arabia at WWE Crown Jewel. Superstars including John Cena, Kurt Angle, are already qualified for it. Next match was between Jeff Hardy and Samoa Joe for WWE World Cup. Let’s take a look at the match results now. The SmackDown show hit the floor with the title match between Becky Lynch and Charlotte Flair. After a long fight, Becky decided to walk out of the ring and Charlotte tried to stop her. Both women ended up fighting outside the ring after match referee counted it to ten. Charlotte made a sphere to Becky, and both hit the entrance screen. Becky Lynch is still the SmackDown’s Women Champion. After the fight, the SmackDown’s General Manager, Paige announced that both Charlotte Flair and Becky Lynch would face each other for the one last time for SmackDown Women’s Championship match which would be Last Women Standing match. At the moment, both of them need medical attention. Jeff Hardy was all set to return to SmackDown Live after brutally assaulted by Randy Orton in the past. This time his opponent was Samoa Joe. The two faced each other for the WWE World Cup Qualifying match. Jeff Hardy won the game as Samoa Joe couldn’t continue to fight with him due to his bad knee. AJ Styles did enough to hurt Joe at WWE Super ShowDown. The match referee called the bell and announced Jeff Hardy as the winner. Jeff Hardy now qualifies for the WWE World Cup. Big Show returned to SmackDown Live after a long time and faced Randy Orton for WWE World Cup Qualifying match. In the end, the Viper defeated the Big Show and advanced to WWE World Cup match at Crown Jewel. Rusev and English indulged into a fight after having a chit-chat on SmackDown Live. AJ Styles And Daniel Bryan At MizTV Show. AJ Styles will face Daniel Bryan at WWE Crown Jewel in Saudi Arabia for WWE World Heavyweight Championship. After a lot of chit-chat on MIZ Show, both the wrestlers show respect to each other. We have some important announcements for you before you end up reading the article. 1. The Undertaker is making a return to SmackDown Live next week. Yes, that’s correct. The Dead Man has decided to confront his enemies again. He and his brother, the Kane already have a match against Dx at WWE Crown Jewel. 2. Be ready to watch your favorite moves – 619 as the king of the ring, the most electrifying performer, Rey Mysterio is returning to SmackDown Live. He will face Shinsuke Nakamura who is the current WWE United States Champion for WWE World Cup Qualifying match. 3. Another Big NEWS that we heard in the show was the Reunion of Evolution on Next Week’s SmackDown Live. Yes, WWE Fans will see the return of Randy Orton, Rick Flair, Triple H and Batista after a long, long time. The SmackDown show will be on the cards from now and is going to have a lot of buzz for WWE Fans. That’s the reason, the team at WMR decided to cover all the SmackDown Live Episodes including the match highlights, results, and updates for WWE Fans. That’s it from this week’s SmackDown Live show. Do let us know your thoughts in the comment section below. We will see in the next episode of SmackDown Live next week.